During today’s demo, Microsoft was relatively light on the details of how this will work. 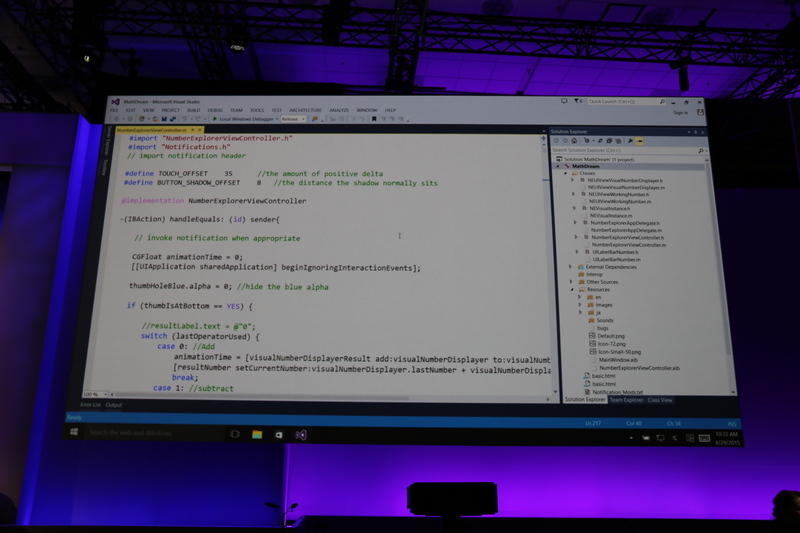 Tomorrow’s Build keynote, which is traditionally heavy on on-stage coding, will likely provide us with more details. Microsoft has suffered from a chronic shortage of applications on its Windows Phone and Windows 8.x platforms. The issue has been built by negative reinforcement: A lack of apps in the early days of Windows 8 likely dissuaded users from frequenting the store, limiting downloads and, thus, developer attention. Android and iOS, platforms that challenge Windows for global penetration, have no app shortage. While it remains a second platform for many developers who remain iOS-first, Android does have plenty of first-class apps, and it retains status as a place where you can’t not build. As such, finding a way to help Android apps make it onto Windows is Microsoft partially admitting defeat, and partially doubling down again on its own platform. Microsoft also announced that web developers will now be able to bring their web apps and traditional Windows desktop apps to the Windows Store. Until now, developers could have their regular Windows apps featured in the store, but the actual purchase had to happen on the developer’s site. Now they can be installed right from the store. This, Microsoft noted, delivers on the company’s promise to give its users a better experience. During today’s demo, Microsoft showed how this would work with Adobe Photoshop Elements and Premiere Elements. In addition, web developers can have their web apps in the store and they can run on the desktop as a regular app that can use Microsoft’s in-store purchasing features and notification tools.